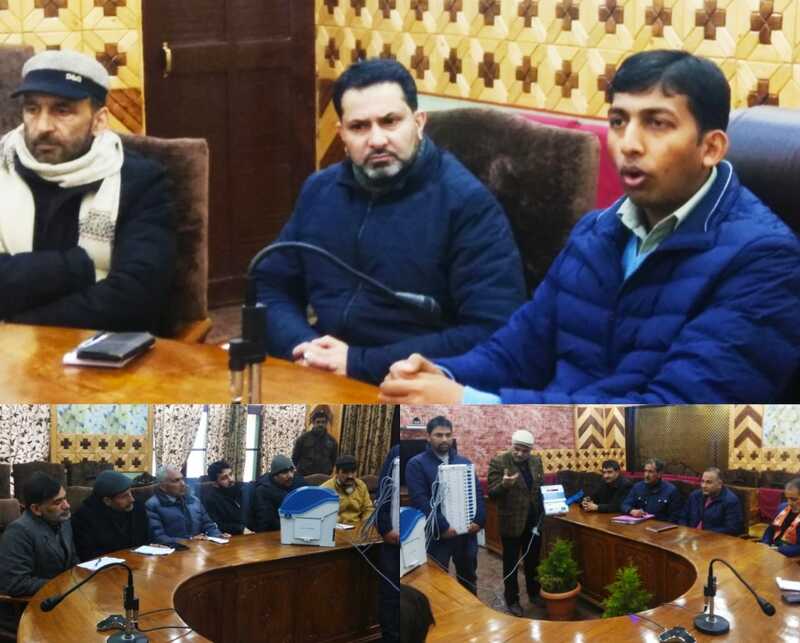 Kupwara, March, 11: A training programme regarding Electronic Voter Machine (EVM) and Voter Verifiable Paper Audit Trail (VVPAT) was imparted to Representatives of Political Parties in Mini meeting hall of DC office complex Kupwara. The programme was conducted under the supervision of District Election Officer Kupwara Anshul Garg (IAS). Additional Deputy Commissioner Kupwara, Farooq Ahmad Baba, Assistant Commissioner Revenue, Bashir Ahmad Bhat, District Information Officer Kashif Altaf Bhat, District Nodal Officer SVEEP, Election Naib Tehsildar, Master trainers from election cell, Representatives of all National and Regional parties and other concerned officers were present on the occasion. During the training, District level Master trainer G M Dar informed the Representatives of Political Parties (Trainees) about functioning and operation of EVMs and VVPAT machines. The trainer explained the functioning of Ballot Unit, Control Unit and other allied functions and operations of the electronic voting machines, which shall be used during upcoming Lok Sabha elections. Later, District Election Officer Kupwara held an interactive session with representatives of political parties of the district and discussed various matters/issues related to upcoming elections. On the occasion DEO said that with the Election Commission of India’s announcement of the complete schedule for Lok Sabha Elections 2019, the Model Code of Conduct came into force on Sunday evening. He sought cooperation and coordination from political parties for smooth conduct of elections in the district. 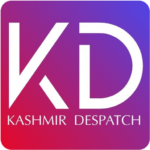 While it the Representatives of the Political Parties along with officials of election cell visited Electronic Voting Machine (EVM) Strongroom and Election Call Centre established at DC Office, they showed satisfaction on overall process of election by District Administration Kupwara.